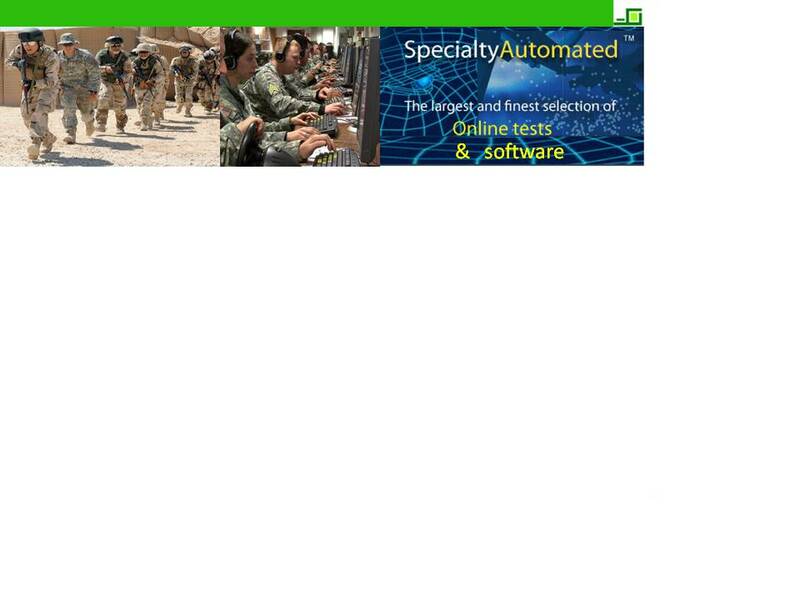 SpecialtyAutomated ™ software and online tests are designed to meet the unprecedented challenges that our military faces today. Soldiers, warriors, and troops are in the constant line of fire. Improvised Explosive Devices, IEDs, are more powerful and deadlier than ever. Concussions, Post Traumatic Stress Disorder, (PTSD), and Traumatic Brain Injury, (TBI), among other injuries, are, collectively, the hallmarks of the Wars of Iraq and Afghanistan, and, earlier, the Vietnam Wars. is a leading cause of depression and suicide. PTSD costs billions of dollars for diagnosis and treatment. PTSD affects many people for many years. Traumatic Brain Injury (TBI) accounts for a significant number of deaths and permanent disabilities. The CDC reports that each year, approximately 1.7 million people sustain a TBI. Although many Traumatic Brain Injuries are concussions, early detection is vital in treatment and recovery processes. Many victims of TBI do not show immediate signs or symptoms of brain injury. For this reason, it is critical to regularly test all soldiers and veterans of these wars. SpecialtyAutomated ™ offers low-cost and high quality solutions to engage everyone in fully automated, standardized, and validated tests and batteries to rapidly detect concussions, PTSD, and/ or TBI in and out of the field. These tests also serve as useful measures of fitness for duty. Studies show that our multimedia and interactive tests actively engage individuals with special needs and disabilities who, until now, were eliminated from the testing process if they were unable to write or hold a writing instrument. Thousands of SpecialtyAutomated ™ tests are designed and sold each year. All of our innovative tests are available in English and multiple foreign languages. Improve service, client wait time, and reduced costs now with SpecialtyAutomated ™ tests. No other cognitive tests compare. Online Trail Making Tests BUY NOW. Online Clock Drawing Tests BUY NOW.